This set was manufactured by Yale & Towne in the 1910 catalog. It is part of the N-16300 Navarro group. 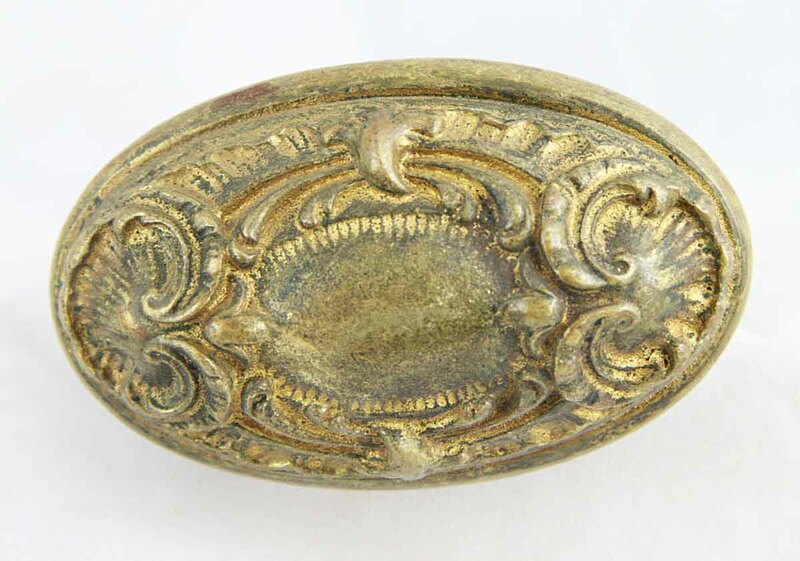 It has French patterns that were often oval. The set includes a large single knob for the entryway with a back plate with a hole for the tumbler lock.